ECORATORIO - An Ecological Oratorio: Monkey Fever Disease in South India: Some recommendations for its management. Monkey Fever Disease in South India: Some recommendations for its management. The Western Ghats is a mountain range that runs parallel to the western coast of the India starting near the border of the states of Gujarat and Maharashtra and running through Maharashtra, Goa, Karnataka, Kerala, and Tamil Nadu states ending at Kanya Kumari, the southern tip of India. The forests in the Western Ghats are unique in that they are some of the best representatives of non-equatorial tropical evergreen forests. With an estimated 7,400 species of flowering plants, 139 mammal species, 508 bird species, 179 amphibian species and 288 freshwater fish species Western Ghats is one of the eight "hottest hotspots" of biological diversity in the world. Researchers suspect that even more unidentified species may exist in these forests. An estimated 325 globally threatened flora, fauna, bird, amphibian, reptile and fish species make their home in the forests of Western Ghats. I first saw the majestic Western Ghats as a nine year old when I accompanied my father Professor Joshua Stephen during his research visits to the forests. In the early nineties along with my father from whom we imbibed the enthusiasm for forest conservation, my siblings and I including my sister Sarah, a contributor on Ecoratorio, conducted voluntary research on the biodiversity in the Western Ghats. Needless to say, the conservation of flora and the fauna of the Western Ghats is of much interest to me. Wayand , a district in the north-east of Kerala state, is bordered by the Western Ghats on the East and is part of the Nilgiri Biosphere reserve. 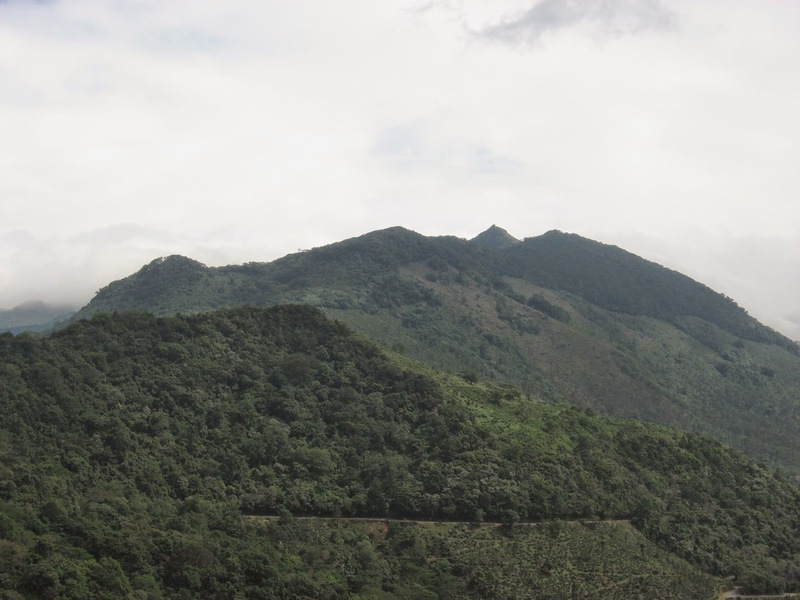 An estimated 885.92 sq km of Wayanad is under forest cover, but the higher altitude allows the cultivation of cash crops and spices (Wayanad is one of the biggest foreign exchange earners of the state),which has led to ongoing exploitation of the natural resources, which scientists have warned could lead to environmental crises. One such crisis has now come from a rather unsuspecting angle - Monkey fever which has reared its head in Wayanad. 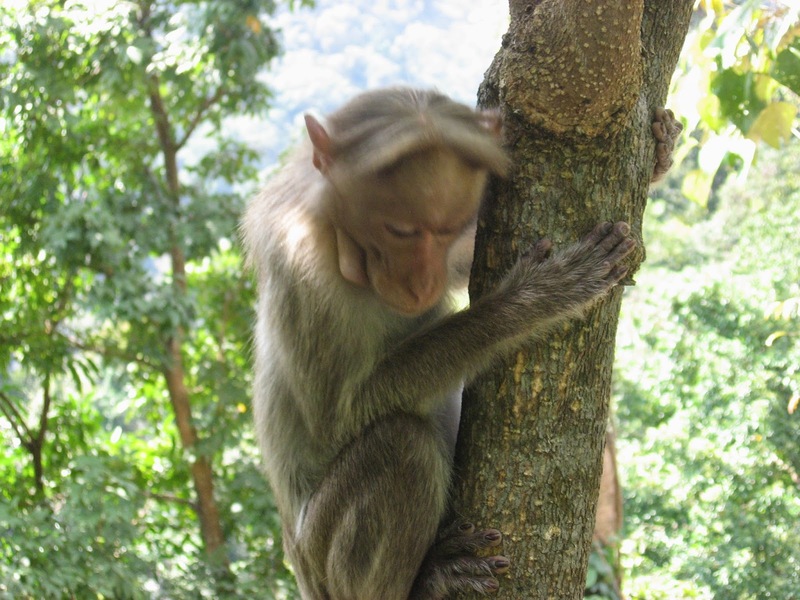 First, in December 2014 more than 100 monkey deaths were reported in Wayand wildlife sactuary ; this was followed by cases of Monkey Fever in humans in Wayanad. Since January 2015 there have been 127 reported cases including seven deaths in humans. Most of the affected have been tribals, the indigenous people who live in the forest and mountains of Western Ghats. An outbreak on a smaller scale has also been reported in Malapurram district of Kerala again affecting the tribals in that area. Monkey Fever otherwise known as Kyasanur forest disease (KFD) is caused by Kyasanur forest disease virus (KFDV), a member of the Flaviviridae family. Other infamous members of this family include the virus that causes yellow fever and dengue . The disease was first identified in 1957 by Work and Trapido , with the observation of deaths in monkeys with heavy mortality in two species of monkeys namely the black faced langur (Semnopithecus entellus) and the red faced bonnet monkey (Macaca radiata) followed by high incidence of illnesses characterised by acute fever and a few deaths among the villagers in the forested areas of Shimoga district, Karnataka State. Subsequently the virus was isolated from monkeys , man, and ticks from the Kyasanur forest in Karnataka, India and hence the name. The vector for Monkey Fever appears to be ticks. The virus-infested ticks seem to infest diverse areas such as forest (tropical evergreen, semi evergreen and moist deciduous forests,) cultivated clearings and grasslands. KFD virus has been isolated from several species of ticks found in the Western Ghats , however, Haemaphysalis spinigera is thought to be the major vector . The main hosts of Monkey fever are rats, shrews, squirrels and porcupines, but bats and monkeys also carry the virus. Larger mammals such as goats and cows can become infected with KFD, but current evidence does not seem to implicate transmission of the disease though pasteurised milk. Among animals, current evidence shows that only monkeys seem to die upon exposure to infected ticks. Often the first clue for the prevalence of the disease in any area is monkey deaths, a gruesome warning that human cases could soon follow. Humans get Monkey Fever from a tick bite or by contact with an infected animal either ill or recently dead. Human to human transmission has not been reported so far. Interestingly, Monkey Fever in humans seems to follow a seasonal pattern and human cases are usually reported from November until June, when young ticks or nymphs become active in forests. This time coincides with the warmer months when humans venture into forests for clearing forests, herding and for gathering firewood. Like many viral diseases there is an incubation period of 3-8 days with the virus, after which the symptoms of Monkey Fever Disease manifest suddenly with fever, severe headache, severe muscle pain, cough , diarrhoea and dehydration. Sometimes, bleeding from nasal cavity, throat, gums, and gastrointestinal tract may also occur. Patients often experience abnormally low blood pressure, and low blood counts. A small fraction of patients recovers after 1-2 weeks of symptoms without complications. However, most patients present a biphasic illnesses pattern and begin to experience second wave of symptoms at the beginning of the third week. These symptoms include fever and signs of encephalitis. Confirmatory diagnosis can be made by isolation of virus from blood by cell culture methods. Sensitive techniques such as PCR can also be used in the diagnosis in the early stages of the disease. In the later stages of the disease, enzyme-linked immunosorbent (ELISA) can be sensitive in detecting the disease. Whilst there is no specific treatment for Monkey Fever so far, rapid and timely supportive therapy is very important for preventing complications, hastening recovery, and for reducing mortality. Treatment depends on the symptoms of the patient and includes hydration, adequate nutrition, and the usual precautions for patients with other bleeding disorders. Patients with preexisting diseases such as tuberculosis and liver cirrhosis maybe more prone to dying. Mortality rate upon infection ranges between 3-5%. Tribals (Indigenous people) living in forest areas who may come across the ticks or infected and dead monkeys during food gathering in the forest ( the reported cases in Kerala have largely been from the tribal hamlets), people who earn a living from working in the forest (cattle grazers, forest officials and health care workers serving the tribal areas), and hikers in the forest are potentially at risk for infection by contact with infected ticks or infected monkeys. Monkey fever : Another example of human -animal conflict ? It has been long argued that clearing of forest area for cultivation causes changes in tick fauna and is considered as very pertinent to outbreaks. Deforestation could also cause the reservoir hosts to relocate into human settlements. Additionally, deforestation causes monkeys to come to human settlements in search of food. Livestock grazing in cleared forested areas and grasslands also cause the ticks to attach to livestock and herders which in turn are accidentally introduced to human settlements. Although Monkey Fever Disease was thought to be endemic to specific districts in Karnataka state, as early as the late eighties, an antibody survey indicated the possible existence of this disease in Kerala and Tamilnadu although there were no reported human deaths or monkey deaths then. Since 2013, Monkey Fever cases has affected Wayanad (Kerala) and Nilgiris ( Tamilnadu), which makes it plausible that infections in these areas may have been missed earlier due to the lack of an organized surveillance system. The evidence of KFD virus circulation in three southern states of India presently raises serious concerns for human health. The need for creating awareness of Monkey Fever Disease: There should be awareness programs on monkey fever through different communication channels. Tribal settlements in Western Ghats often do not have access to modern amenities such as TVs , radios etc. Illiteracy could also be high, therefore awareness messages using modern modes of communication might not reach the target groups. Therefore awareness of the disease has to be ensured through health workers visiting the areas and communicating orally highlighting the need to avoid high risk areas, contact with dead animals and encouraging people to seek health care promptly on being ill.
Health care centres/mobile health clinics in tribal areas needed: Tribal areas are notorious for having poor access to healthcare. Tribals are also the poorest citizens. There is often lack of/ poor transportation to nearby towns where hospitals may be located due to lack of vehicular roads. Even upon reaching health care centres , tribals often face discrimination and insensitivity from health care officials. To circumvent this, tribal areas should be provide with accessible health care centres with adequately trained health workers /doctors who could spot the disease quickly and give the appropriate treatment. Additionally mobile health clinics could also be employed that can bring health services to remote and isolated parts. Furthermore, these health care centres and mobile units could also collect data for researchers who will be able to monitor , the prevalence, spread, and changing patterns( if any) of the disease. Vaccination campaigns in people in the target area and beyond: Current vaccination practice uses formalin-inactivated tissue-culture vaccine which has been the primary strategy for controlling KFD in Karnataka . This is a seemingly a good one. However recently published studies from Karnataka shows that the currently adopted vaccination strategy has its own pitfalls. Valuable lessons can be learned that could be used in the other states to control the disease. Firstly the strategy in Karnataka involved mass vaccination of persons 7–65 years of age in the high risk regions . But the study showed that persons outside this range were also infected suggesting vaccination programmes to include persons outside this age group . The study also showed that vaccine coverage in villages selected for vaccination in 2013 was surprisingly low. Further, the uptake of the vaccine was poor ( the current vaccine is multi-dosed due to the transiency of the vaccine-induced immunity ,requiring two vaccine doses to be administered with the first booster dose of vaccine recommended within 6–9 months after primary vaccination after which annual booster doses are recommended for 5 years after the last confirmed case in the area) . Only some of the vaccinated persons took the full dose. The study showed that effectiveness for persons taking full dose was 82.9%, two doses ( 62.4%) compared to non-vaccinated individuals. The study also indicated that targeting vaccination to areas within a 5-km radius of reported KFD activity may not be effective in preventing KFDV transmission as there have been occurrence of cases in areas >5 km away from vaccinated villages. There is a need for production of newer vaccines that accounts for drifts and diversity of current strain, and that which does not require periodic boosters. It is believed that such a vaccine would lead to increased effectiveness and increased uptake. Carcasses of infected dead animals to be disposed appropriately: Forest officials should be trained adequately in following appropriate biosafety procedures while handling infected animals and should dispose carcasses appropriately and expediently. They should also be trained in decontaminating surrounding areas where infected and dead monkeys are found. Initiating Monkey Fever Surveillance Units: There should be active surveillance for Monkey Fever by instituting Monkey Fever Surveillance Units. Not only target areas, but also regions outside should be tested in a systematic manner for virus positivity in ticks far in advance of the peak season. This is indispensable for preventing disease emergence in new areas. In addition, disease surveillance systems should be in place to monitor effectiveness of vaccination programmes and for detecting any hidden niches of infection. Incidences of unusual monkey deaths and human fever cases should be monitored by the Monkey Fever Surveillance Units and information rapidly communicated to forest officials and health authorities so that they can take prompt action. Use of Preventive clothing and Tick repellents: Persons living in forests and those visiting forested areas should be provided with preventive clothing and tick repellents . Tick repellents are reported to provide significant protection against tick bites. Cordoning off the area : During the peak season, the target areas and areas in a wider radius should be off limits for outsiders (apart from health workers and forest officials dressed in protective clothing) and hikers should prevented from going to the infected areas and also high risk areas. Banning cattle grazing: In the target areas, livestock grazing must be prohibited. In this respect it has to be emphasized that tribals are not the culprits, as they have no agricultural practices but only gather food in the forest. Stop deforestation and slash-burn agricultural practices: Deforestation and slash -and -burn practices for agriculture forces the vectors from their natural habitats into human populations. Curtailing deforestation and harmful agricultural practices in the forests will prevent the spread of Monkey fever and other such diseases. Monkey Fever Disease preparedness and response plans : Scientists have reiterated that often the official response to an outbreak is too late. 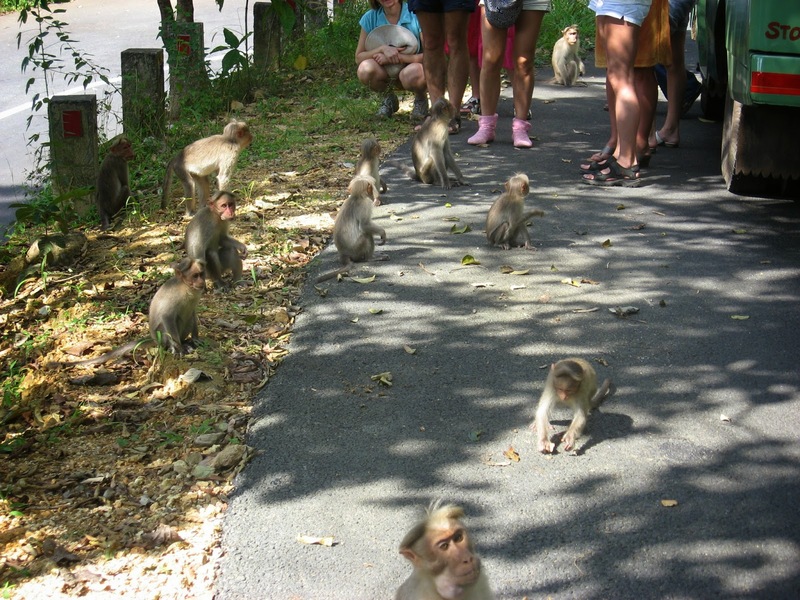 By the time monkey deaths are noticed in an area, the ticks have already flooded the locality. Therefore, the best approach is to prepare ahead and to have all containment measures in place much in advance. Increased research on Monkey Fever Disease : Increased research is needed on monkey fever especially on the drift and diversity of the virus, and efforts should be made towards producing better vaccines. There is also limited knowledge on the susceptibility and prevalence of monkey fever in other monkey species ( For example whether the critically endangered species Lion tailed macaque is susceptible to infection) . A concerted effort on understanding the natural history of the disease will enhance the efforts to curtail it. With the Monkey Fever Disease season seemingly coming to an end, the authorities could easily fall into the trap of complacency and lethargy until new Monkey fever cases hit the headlines next year. However, the ease by which the disease is spreading should be a warning to the authorities that it is a major perennial problem. It is not one of those rare diseases anymore. Timely measures need to be in place to ensure that the disease does not spread any further as this could threaten monkey survival as well as cause a major public health crisis, which with passage of time might be too difficult to contain. Since publishing this post, I have been contacted by the MCVR Virology Lab , Manipal , India that the disease has now been detected in Goa state also.